Three-striped box turtle, by Torsten Blanck. Used with permission. Nearly half of all freshwater turtles and tortoises are at risk of disappearing forever, a new report warns. It’s not easy to be a turtle in the 21st century. 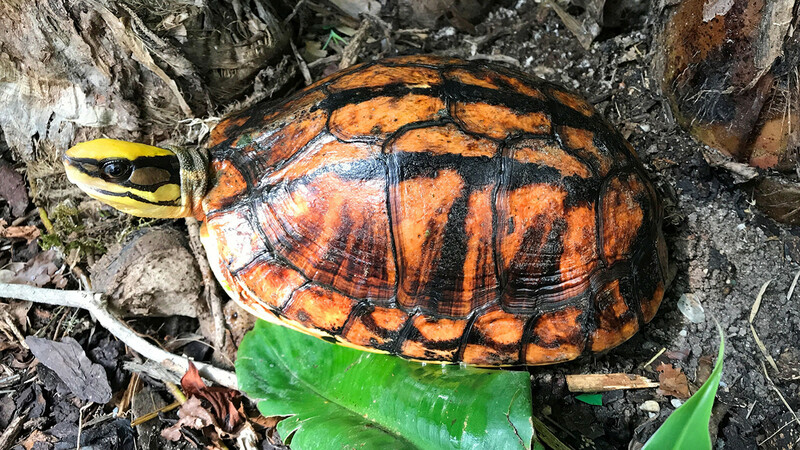 A new report warns that freshwater turtles and tortoises are among the world’s most threatened groups of species, with more than 40 percent at risk of extinction due to habitat loss, the illegal pet trade, and consumption for food and traditional medicine. Among the most threatened species are the Yangtze giant Asian softshell (Rafetus swinhoei), which is down to its last three individuals in China and Vietnam; the ploughshare tortoise (Astrochelys yniphora) of Madagascar, which fetches enormous prices in the illegal pet trade and could disappear from the wild as soon as this year; and the three-striped box turtle (Cuora trifasciata), ownership of which “has become a financial investment and status symbol in China,” according to the report. Also considered highly at risk: the Nubian flapshell turtle (Cyclanorbis elegans), not seen in the wild in at least 15 years and feared extinct by some conservationists. All told about half of all tortoise and freshwater turtle species and subspecies are threatened or at risk of extinction. The authors of the report, which was issued last week by a partnership of 10 turtle conservation organizations, call it “an effort to publicize the plight of tortoises and freshwater turtles by highlighting those species that are at the highest risk of extinction.” Sadly that’s obviously needed, as not much has changed since the previous edition of this report in 2011, which contained a very similar list of turtles. Conservation efforts have benefited a few of these species during that time period, but not enough to improve their overall outlook. In fact the only species from the 2011 list that doesn’t appear in the 2018 edition is the Pinta giant tortoise (Chelonoidis abingdonii) of the Galápagos, which went extinct in 2012 with the death of world-famous tortoise Lonesome George. So why should we care? Well, other than the fact that this list contains some stunningly beautiful and interesting species, tortoises and freshwater turtles also serve vitally important ecological roles in their native habitats. As the report points out, various species help to shape rivers and waterways, assist plant populations by dispersing seeds and fungi, and even keep water clean by scavenging dead animals. 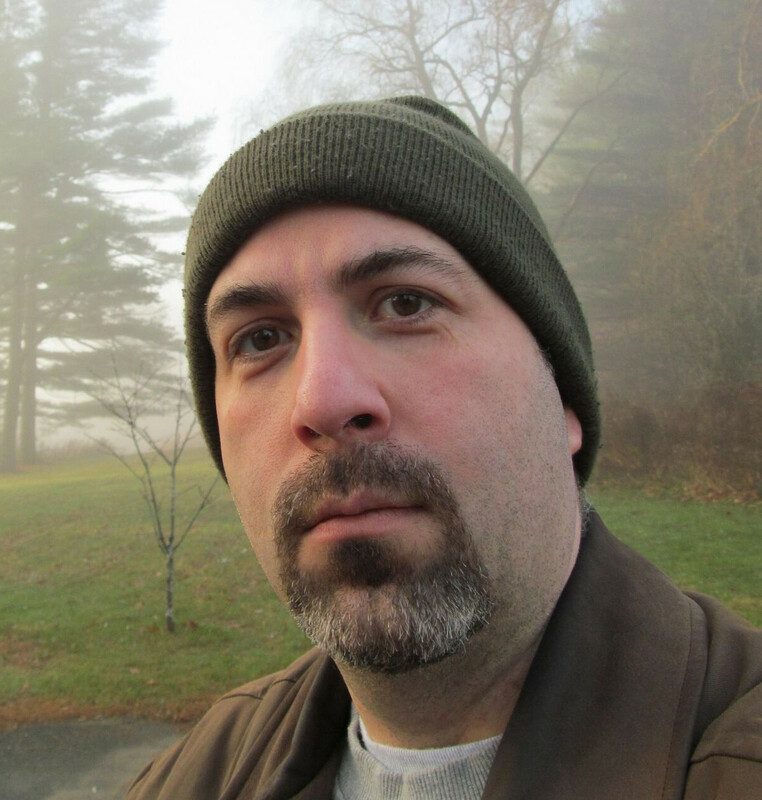 They’re also significant in human culture and art — which is one of the reasons they’re at risk. 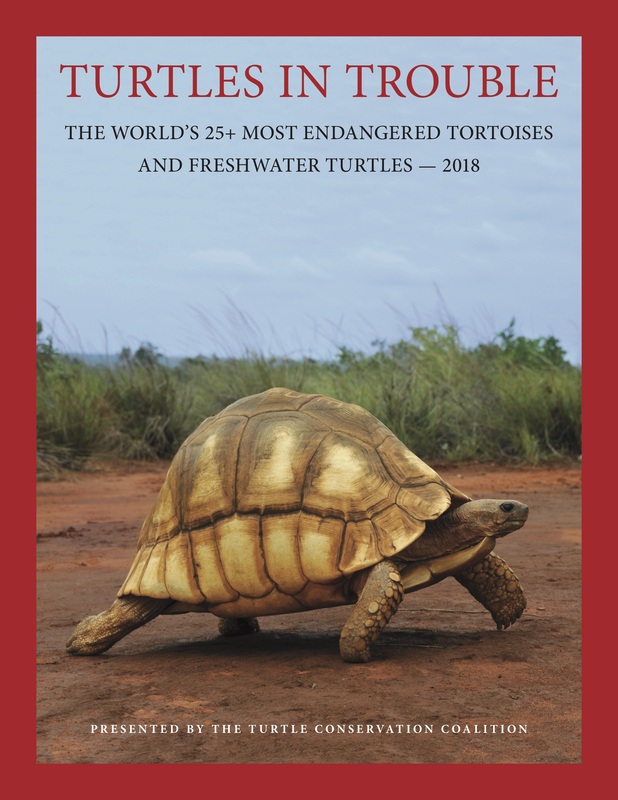 Here’s the list of the 27 most threatened tortoise and freshwater tortoise species. You can learn a lot more about each of them by downloading the full report here. Two Years to Ploughshare Tortoise Extinction?